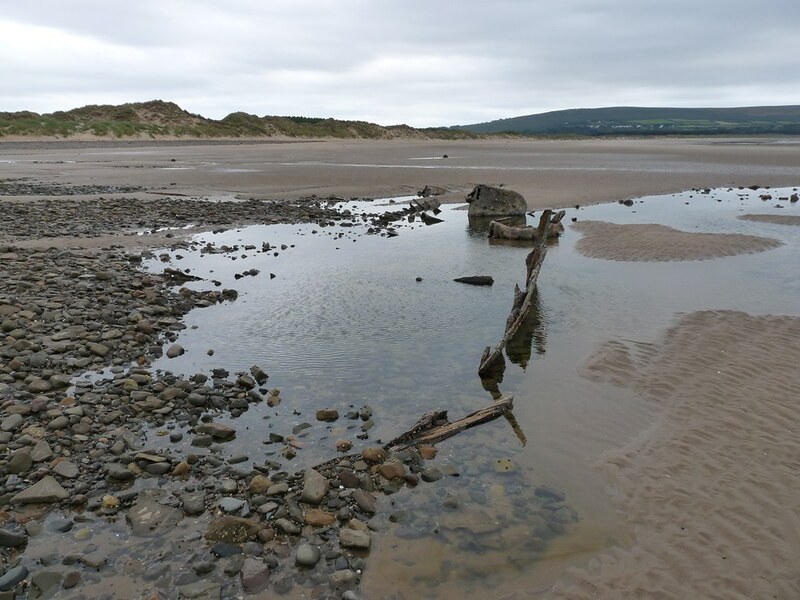 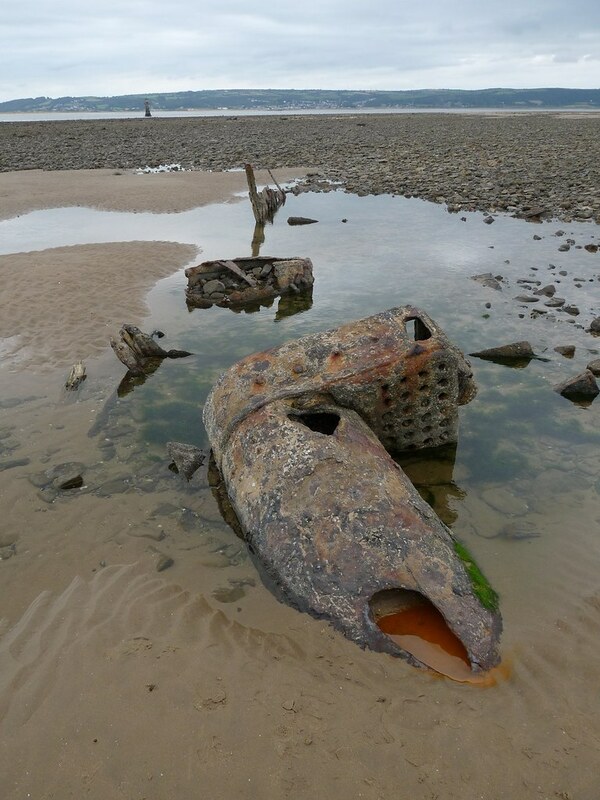 Towards the northern most extreme of Whiteford Sands sits the partially buried steel hull and boiler of an as yet unidentified wreck. 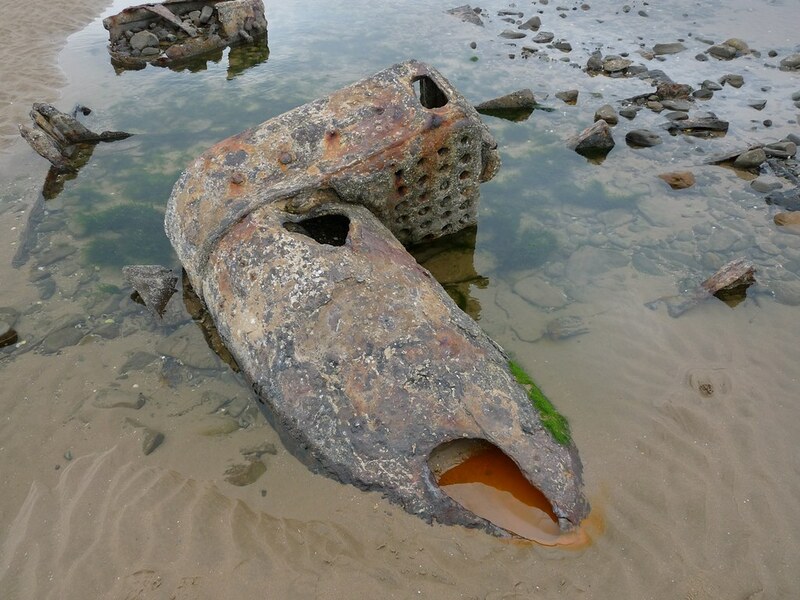 Revealed only at low tide the entire outline of the hull can be discerned whilst the boiler is presumably still pretty much in situ. 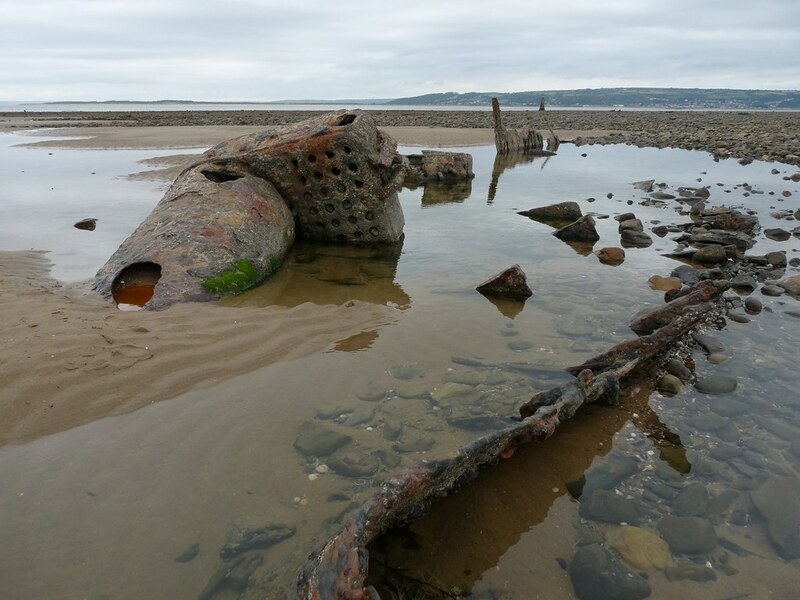 Both retain very interesting features such as the rivets on the rear of the firebox, and much like the wreck nearby at Whiteford Point the shifting sands periodically reveal and cover the remains.